With WordPress web forms, you can collect information and leads from visitors to your website. These data collection programs are now more sophisticated than ever, allowing you to do more than just collect email addresses. The latest plugins allow you to synch touch points to a CRM (Customer relationship management software), make lead data better with contact properties, customize form fields, and merge them with marketing and email automation software. There are several WordPress contact form plugins that you can use. But out of all of them, there are a few that stand out from the rest. In this article, we’ll select the best ones for you. Formidable Forms is a simple form builder. It has a drag and drop editor, and it has simple features like automatic and easy email notifications for form submissions. It also comes with basic, pre-built form templates. It is easy to set up and use. Formidable Forms features are limited, but you can get several add-ons that you can download and tweak as you wish. Contact Form 7 is a popular WordPress plugin. It is mostly used for contact forms. With Contact Forms 7, you can create contact forms easily and place them all over your website. The major disadvantage of Contact Form 7 is that you can’t use it for anything but contact forms. Qu Form is an advanced WordPress form builder. It works as a ‘drag and drop’ editor that can build several types of forms like ‘Contact Us,’ ‘billing forms’ and others. Qu Form comes with several features like smart branching logic, multi-page forms, etc. It’s easy to customize the design and style of Qu Form. FormCraft is a WordPress plugin that helps to make forms stylish and beautiful. The plugin is favored by those that love to make fancy forms with an easy to use plugin. FormCraft is easy to customize, and it is responsive. It also includes notifications via email, so you do not need to log in to see how your lead generation is going. The free version is good, but it is a bit limited. You can get the premium version for more features. If you get the premium version of FormCraft, you get more features like auto-save, analytics of forms, conditional logic etc. Gravity Forms is a capable WordPress contact form plugin. Gravity Forms has a good integration library with payment processors like PayPal which makes it possible to accept payments with forms. It also has a good integration library with automation software and email software. You can schedule the forms that should be implemented within a time period, limit acceptable domains on your forms and build multi-step forms. One problem of Gravity Forms is that users may find it complicated to use. It could be difficult to set up custom integrations and implement simple design options. But Gravity Forms remains a very viable option for those that require a lot of customization. Ninja Form is a powerful, free WordPress form builder. This plugin is easy to use and you can create several types of forms with Ninja Form without limits on form fields or submissions. The drag and drop builder of Ninja Form is easy to use. Ninja Form also integrates smoothly with payment processors and other email service providers so, you can sync your systems and automate several administrative processes. eForm is a form builder that comes with several features. With a simple and intuitive drag and drop form builder, you don’t need any coding experience. Just arrange form elements and customize the settings and you are good to go. Change themes or designs with just clicks of a few buttons. But if you know your way around CSS you can enter your custom code directly into the form settings. eForm is mostly favored by eCommerce websites due to its good eCommerce features like total checkout, payment flows, native integration with PayPal, WooCommerce, Stripe and more. It is easy to customize things as you wish with eForm. It is a good form builder for those that have exact specifications and need a form builder that can allow them to tweak things as they wish. eForm has no free plan. Form Maker is a simple to use form builder. It comes with a drag and drop builder. You get functionalities like surveys, contact forms, questionnaires, quizzes etc. With the free version, you can’t get more than seven fields. It has limited integrations. WP Forms is a form builder that offers several features like customizability, advanced branching logic and more. It has a drag and drop builder that you can use to build and customize forms. WP Forms come with several templates, and workflows for subscriptions, registrations, payments and contact forms. WP Forms has several use cases. Jetpack is a WordPress builder made by Automattic. It comes with several templates and a lot of features that make it advanced. It has features like PayPal payment buttons, site analytics and stats, automated scheduling and advanced social media posting, advertising program that works with Facebook Ads, AdSense, Amazon, Yahoo, Google AdX, AOL, etc., SEO tools for Google, Bing, Yahoo, Twitter, WordPress, and Facebook, elastic site search and search-powered related content. Jetpack is a bit limited in terms of features for WordPress contact forms, but it will do for simple forms. There are several WordPress contact form plugins that you can use. Select one that will meet the demands of your website and remain compatible with your personal workflow. Most of the basic WordPress form builders allow you to create contact form fields for basics like email, name, etc. and create native integrations. It’s up to you to pick a plugin that best suits your purpose. Some users like simplicity while some prefer the ability to tweak things as they wish. 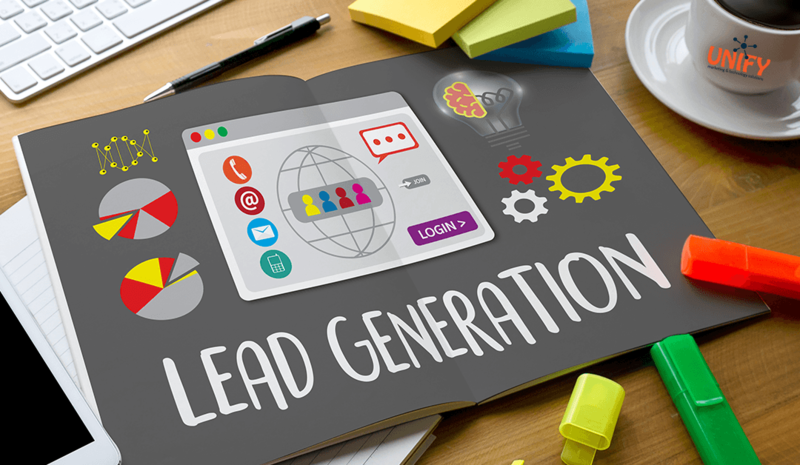 Some choose contact form plugins based on their analytics features while some select contact form plugins based on how they can be used to enrich leads. It’s your call to make.